Early Childhood Education Phoenix: Have Fun And Be Safe This Summer! Summer is finally here, which means swimming, backyard barbeques, hikes, and other fun outdoor activities. While summer is one of the best times to make memories with your kids and enjoy the great outdoors, it’s important to exercise caution around higher temperatures and intense sunlight. Especially in Arizona, the dry, desert heat can cause heatstroke, heat exhaustion, and other health issues related to the temperature. This post will detail some summer safety tips to remember when playing outside with your kiddos so you can focus on making memories and having fun. If you’re searching for a fun and engaging early learning center in Arizona to send your child this summer, look no further than Valley Learning Centers! 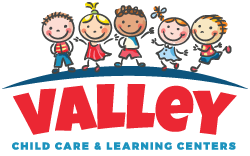 With 10 locations across the state and an incredible and certified staff, your son or daughter will enjoy learning and thriving with Valley Learning Centers! Give us a call today! Playing outside and swimming are two of the best activities during the summer, but it’s important to exercise caution during extremely high temperatures like we enjoy in Arizona. Try to stay out of direct sunlight for extended periods of time during the hottest period of the day, which is usually between 11am and 3pm If you and your kiddo do plan to be outside, try to stay in the shade as much as possible. Sunscreen is a must to protect against sun damage and burns, so make sure to spray or rub some sunblock on before heading out to play. You can also purchase UVA/UVB-blocking clothing for your child as well to add another layer of defense. If you do notice that your son or daughter suffered a sunburn, immediately remove him or her from the sunshine and apply a cool washcloth. A minor sunburn can be treated at home with cool showers or baths, a topical analgesic, and aloe vera gel, but if you notice blisters or swelling, it’s best to visit the doctor just to be safe. Sun poisoning is also another serious issue, so if you or your kiddo is showing signs of weakness, tingling, fever and chills, nausea, or a headache, see a doctor immediately. If you notice a child or adult exhibiting these symptoms, immediately call 911 and alert a lifeguard if possible. Trying to rescue a drowning person can actually land you in danger because their panicked response may cause you to sink below the surface and struggle to stay afloat as they cling to you. In general, children are usually very loud and boisterous when playing in the water. If you notice that your child suddenly becomes quiet, check to make sure he or she is alright and not experiencing water distress. It’s also important to keep a first aid kit on hand just in case of an emergency. Enjoy a safe and fun summer by using these tips. At Valley Learning Centers, we’re proud to offer excellent and engaging early learning centers across Arizona. For more information about the center closest to you, contact us today!